Thomas E. Woods, Jr., holds a bachelor’s degree in history from Harvard and his master’s, M.Phil., and Ph.D. from Columbia University. He has appeared on CNBC, MSNBC, FOX News Channel, FOX Business Network, C-SPAN, and Bloomberg Television, among other outlets, and has been a guest on hundreds of radio programs, including National Public Radio, the Dennis Miller Show, the Michael Reagan Show, the Dennis Prager Show, and the Michael Medved Show. 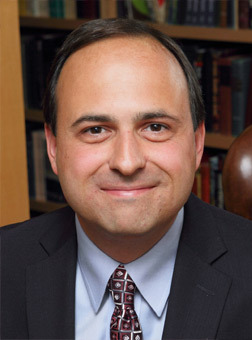 He is the host of The Tom Woods Show, a weekday podcast. Woods’s eleven books include the New York Times bestsellers The Politically Incorrect Guide to American History and Meltdown: A Free-Market Look at Why the Stock Market Collapsed, the Economy Tanked, and Government Bailouts Will Make Things Worse (read Ron Paul’s foreword). His books have been translated into Italian, Spanish, Polish, Lithuanian, German, Czech, Portuguese, Croatian, Slovak, Russian, Korean, Japanese, and Chinese. Woods won the $50,000 first prize in the prestigious Templeton Enterprise Awards for 2006, given by the Intercollegiate Studies Institute and the Templeton Foundation, for his book The Church and the Market. A contributor to six encyclopedias, Woods is co-editor of Exploring American History: From Colonial Times to 1877, an eleven-volume encyclopedia. Woods lives in Topeka, Kansas, with his wife and five daughters.